If you ask almost any child if they need boundaries, they are of course going to say, "I don’t need no rules". Of course, nobody wants to follow rules, almost everyone wants to tell others what to do but at the same time they don’t want to be told what to do. Most people want to do what they want to do and when they want to do it. So why should we set up boundaries for our kids. Parenting children is not simply about how and what you are doing for them right now, it is really about developing their character in order for them to be successful adults that are able to have boundaries with others and be able to develop healthy relationships into the future. 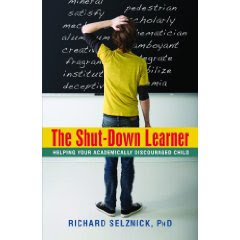 Dr. Selznick has written a book, The Shut-Down Learner, which can help many parents that are struggling academically with their kids that are underachieving may benefit from. Is there more to their lack of motivation? Here is a recent article by Dr. Selznick. Fifth grader, Matthew, is making his family crazy. The nightly ritual of "What do you have for homework?" "Did you hand in your work?" "When are you going to get started on your homework," is taking its toll on the family. Matthew's mother is particularly frazzled. With Matthew being the oldest of three children, he is putting tremendous strain on her. Not only does Matthew have a problem handing in his home work, and writing down his assignments, once Matthew gets started, it takes him incredibly long to finish. TeenHealth provides some great tips for this upcoming holiday weekend! Did your child/teen struggle this past year in school? Are they taking summer classes? Consider enhancing their study and homework skills with Cramster.com. Cramster is the leading online study community that offers homework help for math, science, engineering, and business classes by providing resources to accelerate and strengthen the learning process. The community is made up of high school and college students, educators, parents, and subject enthusiasts with the common goal of sharing information and helping students excel in their classes. It has been a week of tremendous loss in Hollywood and in many hearts of people throughout the world. This grief is effecting all ages, from kids that have been mesmerized by the music of an ICON to adults that grew up with that ICON -the shock and sudden death of anyone you have grew up with, looked up to, or simply had become part of "your" life can be devastating. I found an article from Education.comthat offers some great advice on handling grief within your family. Bereavement can be a lonely and frightening experience for many people. Once the funeral is over and the cards and flowers stop pouring in, they still need caring and support. As a Parent Advocate, this article is a very important for parents with teens and tweens that you suspect may be using drugs. Summer is here, many kids have extra time on their hands, and experimentation can be common. Learn some warning signs and parenting insights. Teenage depression and drug addiction are often linked, but new advances in science may be able to help treat both. REMINDER FOR TOMORROW – JUNE 24TH – IMPORTANT SUMMIT REGARDING TEENS AND CYBER-SAFETY. ATLANTA – For the fifth consecutive year, Cox Communications, in partnership with the National Center for Missing & Exploited Children® (NCMEC) and America’s Most Wanted host and children’s advocate John Walsh, will present the results of a new survey on the behavior of young people online. This year, the survey also looks at teen behavior using wireless devices. Kara Tamanini is an author and therapist specializing in adolescents. One of her recent articles about Teenage Mutilation is an excellent resource for parents to better understand this behavior. First and foremost, most teenagers and young adults are not attempting suicide. The act of self-mutilation is rarely about taking one’s own life. However, some young adults have killed themselves by accident when they took the act of self-mutilation too far. The difficulty often faced in self-injurious behaviors such as cutting, burning oneself, or ripping/tearing at one’s own skin, is that the mutilation becomes addicting and is very difficult to all of a sudden stop. 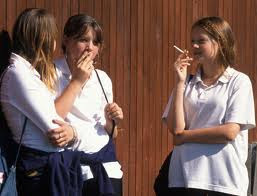 Mostly, in my experience I have seen young adolescent girls age ranges 11-12 years to 17-18 years old, however I have also seen teenager boys indulge in self-injurious behaviors as well as young and middle-aged adults. Sarah Maria is a body image expert and has an exciting new book coming out, Love Your Body, Love Your Life. Take a moment to visit her website at http://www.breakfreebeauty.com/ and learn more about overcoming eating disorders and empowering your life and the life of your teenager. Wow, Danielle Herb (check out her video) offers an amazing program for kids with ADD/ADHD as well as helping kids overcome their fears. Since I am in Florida, I am always asked about programs here and honestly, there are not that many. Well, not many in my opinion - if you know my story and my organization, I am a bit on the picky side. WHAT: The ADHD Horse Level 1 Master Class is an exciting new weeklong program developed by Danielle Herb and Drop Your Reins to help you manage your ADD/ADHD using natural techniques and without the need for prescription drugs. Happy Father’s Day 2009 to all fathers as well as father figures! And many mothers out there that have the role of both mother and father, as myself. Take the time to spend some time with that special person that deserves to be recognized. Take the time to appreciate those that love you unconditionally, they are priceless. A special note to my father, thanks for all your support – always! Also to my son-in-law, who is a fantastic dad to my grandchildren! I am very fortunate. Here is an article about father’s today. It’s just after lunch on a Friday, and Johnny Ruiz of Gilbert is outside with his three boys, pumping up the tires on their bikes. Like a growing number of fathers, Ruiz spends a lot of time with his kids, juggling part-time jobs so he can be home when they get out of school. Over a year ago a parent emailed about this serious concern that you need to learn more about. Why? Inhalants can be found in just about everyones home - garage - basement - bathrooms - even your vanities! Yes, nail polish remover can be used as inhalants. Alliance for Consumer Education helps you learn more. The Alliance for Consumer Education (ACE) is a 501(c)(3) nonprofit organization founded in. The ACE mission is “to promote responsible and beneficial use of products to ensure a safer, healthier and cleaner environment in homes, businesses and the community.” Its core program areas are: Inhalant Abuse Prevention, Disease Prevention, Poison Prevention, and Product Management. Education.com Launches 2009 Summer Activities ChallengeLeading website for parents encourages families to have fun learning together this summer, while preparing for the next school year and earning a chance to win LEGO® Sets or a Dell laptop computer. REDWOOD CITY, CA – June 19, 2009Education.com <http://bit.ly/summer-challenge> , a leading web destination for parents of school-aged children, has launched its 2009 Summer Activities Challenge to help parents keep their kids excited about learning during the summer break. All families who complete the Challenge will receive a personalized certificate of achievement and will be entered to win a Dell Latitude 2100 Netbook <http://bit.ly/EQKnC> or one of 100 LEGO Creator Mini Sets. To complete the Challenge, parents must register on Education.com and complete at least 20 Education.com activities with their kids during the contest dates of June 22 to August 31. As summer is here, teens, if not kept busy, could potentially find peer groups that are not what you would want him/her to hang with. Teen Gangs can prey on kids that are not only followers, but have low self worth and want to belong – even if it is a negative peer group. Yesterday I had Blogged about this topic on my main Blog. 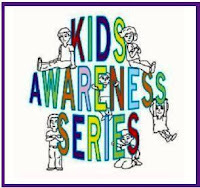 Learn more from Connect with Kids. Saying yes meant a three-minute beating from four older gang members. He says, “They only give you three chances to fall down. After the third one, you got jumped for being stupid.” He didn’t fall down. He was beaten and bloody, but he made it into the gang. For parents of teens, it’s an everyday experience to see the rapidly evolving use of technology by teenagers. The shifting can happen whether there is a new, hot product out our not. Many times it is simply teens finding a new application or use for an existing product or service. Marketing firms are scrambling to pin-down this potentially huge market but it’s like hitting a moving target. Well… now you know how it feels to PARENT a teenager!! 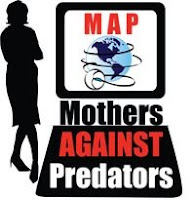 Sue Scheff: ReputationDefender - Do You Know What your Child is Doing Online? 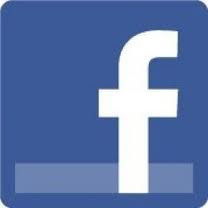 Many that know me know that I am a supporter of keeping kids and adults safe in cyberspace. Whether you want to protect your business' online reputation or monitor your families privacy, including preventing identity theft, ReputationDefender is one of the pioneer online reputation management services. I not only use them, I recommend them to parents regularly. I am not a spokesperson for them, nor do I receive any referral fees from them - I just know first hand the work they do. Do you know what your child is doing online?? 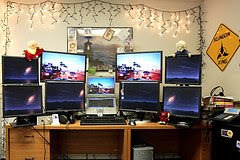 Summer is here, which in many cases, means more online time - be sure you are aware of what is going on in your child's cyber-room.